There’s something surreal about seeing cows roam the roads. The roads that have no traffic lights, or lanes, or pavements… There are also stray dogs basically everywhere, and I’ve seen a couple of cats that look like they want to feed on your soul. 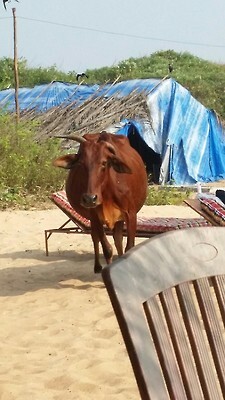 The animals all wander on the beach too, and trust me when I say that it is bizarre watching a herd of cows walk along the coast. The animals don’t do anything to you, so it’s fine. I mean, they’re not going to attack you for no reason, but they don’t really understand what personal space is, so they might come right up to you to stare. But they won’t touch you. It’s fine. If you ever come to Goa and you want to eat the best butter chicken in the world (a title rightly given by my cousin Raman) then go to Fisherman’s Cove. The yummiest food, and it’s cheap. Eight people ate a full on meal till we were stuffed, and then we had dessert, and it came to less than £50. EIGHT PEOPLE! The slight downside to the evening was the fact that as soon as finished my dinner, a grasshopper the size of my thumb fell from OUT OF NOWHERE AND LANDED ON MY PLATE! I was so shocked I couldn’t do anything but slowly try and slide away from it. Then it hopped over to my mum’s plate, and I screamed. 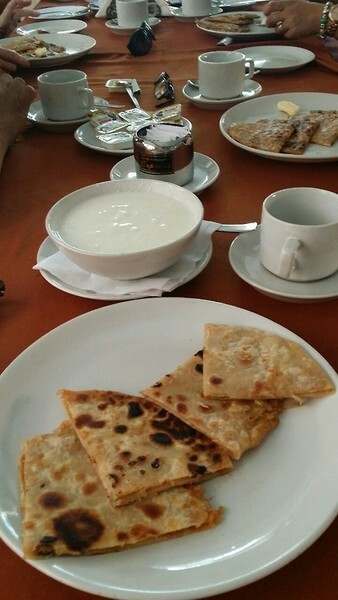 The waiter had to come and squash it in some tissues before giving us new plates. It was horrible. And hilarious. I don’t think I’m selling the place too well, I’ve mentioned grasshoppers falling onto food, cows, dogs, and cats roaming the streets and beach and not knowing what personal space is, and there’s also lizards that crawl up the outside walls at nights – but they don’t do anything either. Oh, and depending on whereabouts you go, there’s a chance you will be attacked by a swarm of mosquitos. 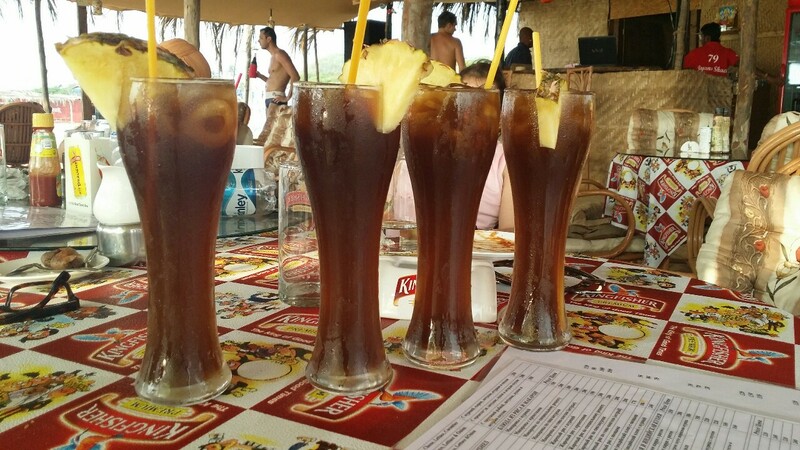 Aside from all that stuff, though, Goa is one of the best places you can come to on holiday. If you stay in one of the hotels, you’ll get treated like you’re royalty and be waited on hand and foot for your entire stay here. We’re staying in the family apartment here, so we don’t get the royal treatment – but it’s still fab! Almost every shack along the beach has its own water sports, so you can go on a jet-ski, or banana boat, or a donut ring, or on water skis. Being pulled along by a motor boat while you’re in an inflatable donut is so much fun – especially while you’re holding on to the side for dear life. I went dolphin watching today, and they didn’t do much – just came up for some air a couple of times… but they’re still so beautiful! Depending on how lucky you are, you can see dolphins jumping out the water. It’s currently over 30 degrees here, and according to my phone it’s about 11 degrees back at home, so I think it’s obvious who the real winner is right here. I might have lizards, stray farm animals, and no traffic control, but I also have sweltering heat, the best food, and cheap, cheap prices! Also the clothes you can get here are amazing! 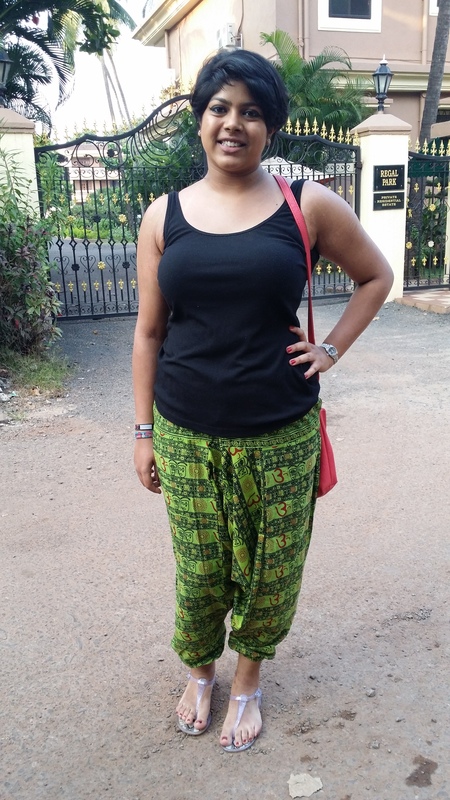 I bought these brightly coloured and patterned trousers yesterday that look like of like a cross between Aladdin’s pants and MC Hammer pants… Seriously – the best pair of trousers you’ll ever own. AND THEY WERE ONLY LIKE £3! We managed to buy five pairs of those pants for a tenner. They would have been £15 but we haggled them right down. I wanted these two t shirts and instead of paying £7 for them, I managed to haggle it down to a fiver. For two t shirts. Honestly, I’ve never been prouder of myself. Yesterday we went to a spice plantation to look at all these different plants and trees. 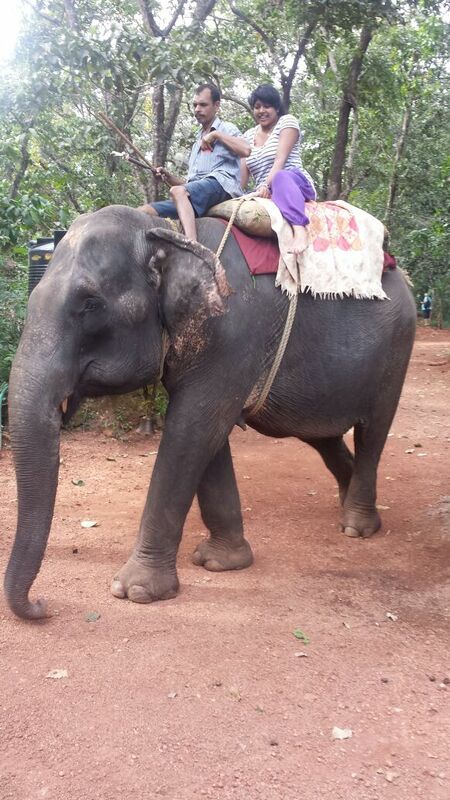 I saw spiders bigger than my hand (terrifying) and I got to ride an elephant – she was beautiful and so majestic! I want an elephant for myself now, they’re so cute! 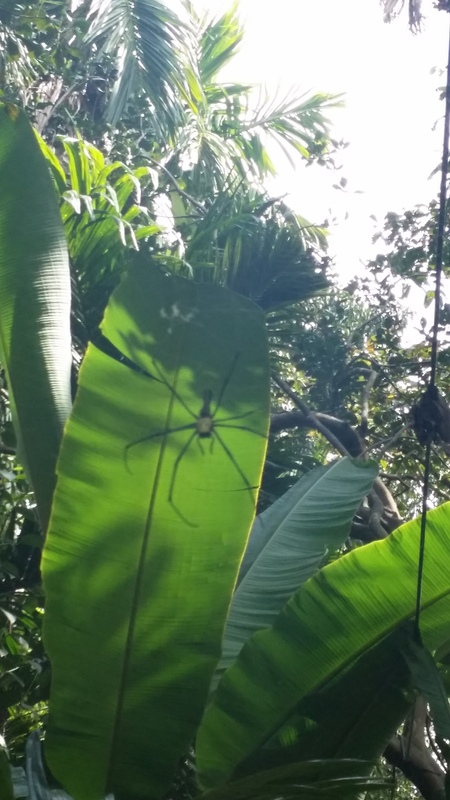 Giant spider – send help! 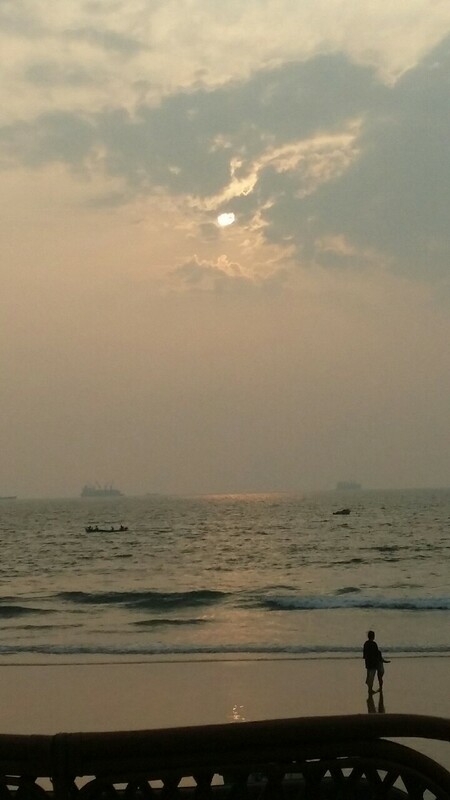 Come to Goa – it’s the best. Next > What You Can Binge Watch Now That You’ve Been Fired!